Derek Taylor was the press officer for The Beatles in 1964 and toured with them on their first visit to America, later working for their organisation Apple Corps in London. From all accounts he was a very likeable and beautiful man, regarded by many as the ‘fifth Beatle’ – a moniker that he shared with Neil Aspinall and George Martin. 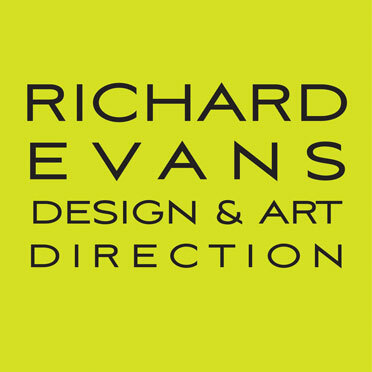 He was originally a journalist from Liverpool, writing for papers such as the Liverpool Daily Post and later the Daily Express. It was the Express who, in 1963 sent him to cover a Beatles concert, his editor asking him to write an unfavourable review of what the paper considered was a ‘teenage fad’. Derek went, fell in love with what he saw and heard, and shortly after, was hired by Brian Epstein. What then followed was the sort of thing that you and I can only dream about – hanging out with John, Paul, George and Ringo, being a part of Apple, the Beatles’ business empire and in the mid-sixties working in America with the Beach Boys, The Mamas and The Papas, The Byrds, Paul Revere & the Raiders and er, very briefly, Mae West. In 1973 when the dust had finally settled on the bitter split up of The Beatles and the non-stop cocktail party that was Apple finally came to an end, Derek Taylor wrote down most of what he could remember of those unique and crazy times and the ensuing book was published under the title As Time Goes By. And now 45 years later, to my delight, Faber & Faber have republished it. Most of the stories and anecdotes concern The Beatles although Derek’s days working in Los Angeles with many of the top bands and singers of the day are equally of merit. It was Taylor who, for example, dreamed up the claim that, ‘Brian Wilson is a genius’ and who wrote of Pet Sounds as being a ‘pocket symphony’. And when he wasn’t working for The Byrds and The Beach Boys et al, it was Taylor, along with John Phillips of The Mamas and The Papas and record producer Lou Adler, who organised the 1968 Monterey Pop Festival. 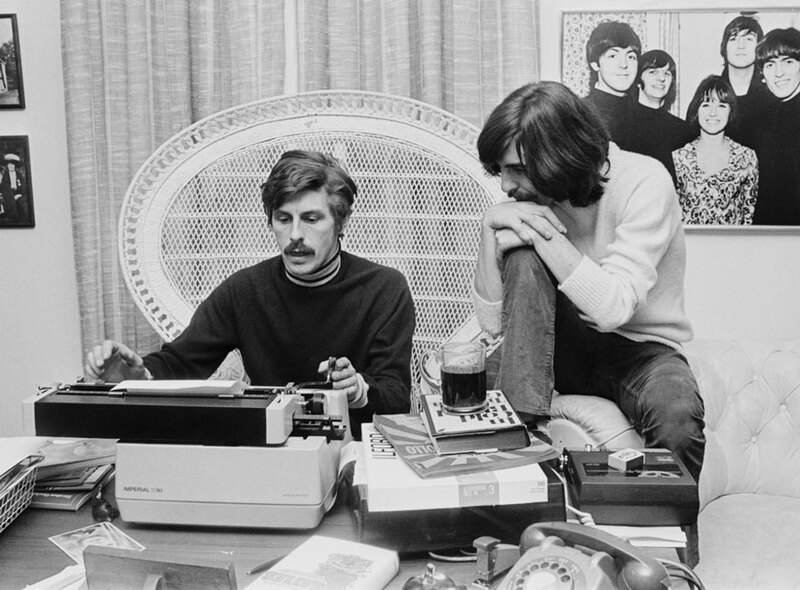 Derek Taylor with George Harrison at Apple in 1969. The four of them were invited into his house where his wife prepared a banquet of hams and pies, salads, bread and cakes, chicken and fruit. After they’d eaten and pushed back their chairs, the couple’s little girl came downstairs and without a word handed Paul her acoustic guitar. What then transpired, said Derek, was . . . “the strangest Happening since Harrold was born, the dentist and his wife, and the neighbours as they crowded the windows and the parlour, and the children, all caught their breath as Paul McCartney began to play the song he had written that week: ‘Hey Jude,’ it began. Derek Taylor died of cancer in 1997 whilst back working with Paul, Ringo and George, helping them compile their Anthology book. 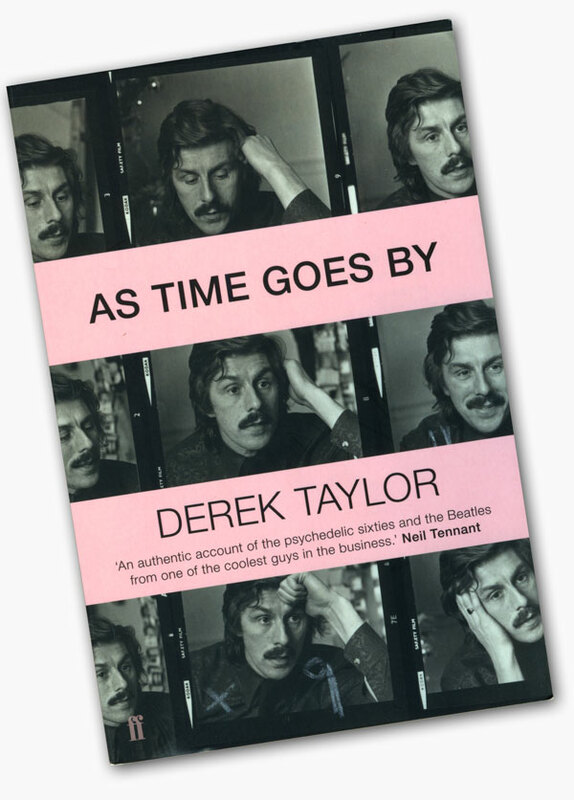 Derek Taylor As Time Goes By. First published in 1973 by Davis-Poynter Ltd. Re-published in 2018 by Faber & Faber. What a wonderful anecdote! Will find Harrold myself I hope one day?